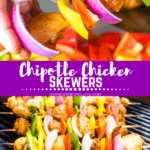 Quick and easy chicken skewers in a delicious chipotle marinade! 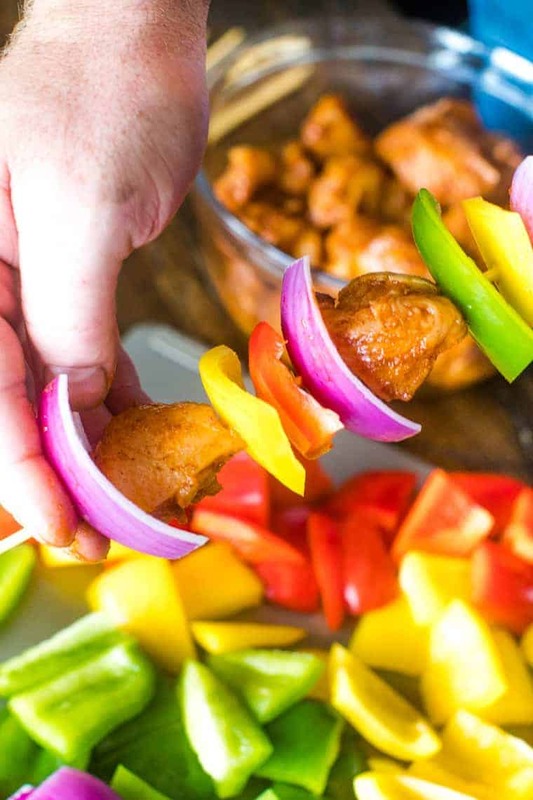 These Chipotle Chicken Skewers with onions and peppers will put a kick in your step with the Chipotle Hot Sauce! 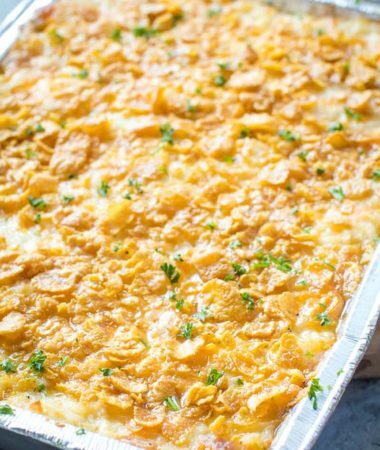 Perfect for weeknight grilling, entertaining and tailgating! It’s officially fall and that means one thing! Tailgating and football season is upon us, which also means we need all the recipes to do this season correctly. 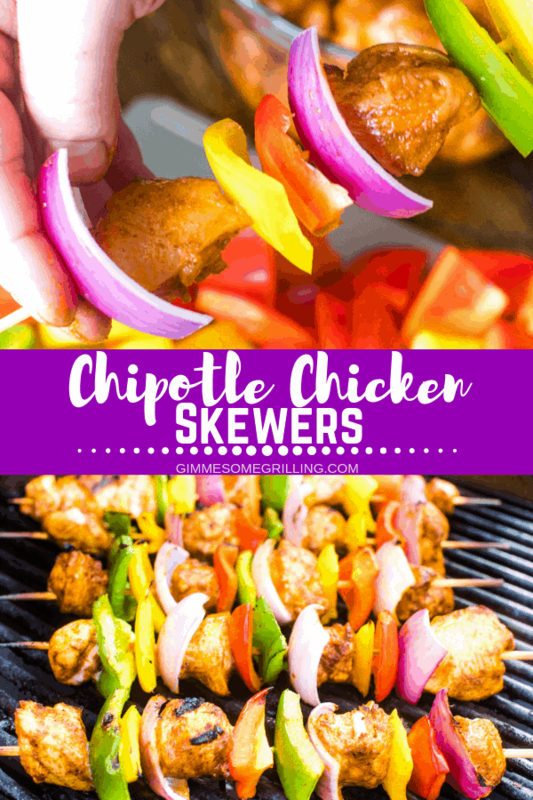 That’s why I’m sharing these Chipotle Chicken Skewers with you today! For some reason eating food off a stick is always better than with your fork, am I right? Plus, I love the fact chicken skewers are easy enough for a quick weeknight meal, yet fancy enough to make them when you are entertaining. 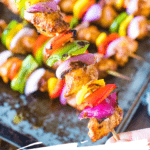 A quick tip for making them while you entertain is to prepare the skewers a hour before your guests arrive, place on a plate, cover with plastic wrap and stick back in the fridge until you are ready to grill them. That way when you guests arrive they are ready to grill which only takes about 20 minutes! We love serving grilled potatoes or cheese garlic bread with our skewers! The Chipotle Chicken gets it’s kick from a quick marinade with only three ingredients including El Yucateco Chipotle Hot Sauce. It’s easy to control the level of heat in the marinade. If you like a lot of heat include the full two tablespoons of Chipotle Hot Sauce, but if you like a little less heat then cut it down to 1 Tbsp of Chipotle hot sauce! Assemble the chicken skewers just like you are going to prepare them on the grill. Instead of placing them on the grill place them on a baking sheet. Bake for 10 minutes, turn over once and bake for an additional 10-15 minutes or until internal temperature of chicken is 165 degrees and juices run clear. Assemble the chicken skewers just like you are going to prepare them on the grill. Heat 2 Tbsp of olive oil in a large non-stick frying pan over medium-high heat. Add half of hte chicken skewers and cook for 4-5 minutes on each side or until light gold and internal temperature of chicken is 165 degrees and juice run clear. Let’s talk football for a second. Are you a true one team fan or will you cheer for whoever you want? I really don’t care who’s playing. My sister-in-law and I always cheer for the team with the “pretty outfits” and we tell our husband’s that just to get them going! Let’s get real, I really only make a big deal out of it because I want to enjoy all the football food! We are “homegaters”, meaning we tailgate from home, but it’s still fun to round up the friends and have a little party. They especially love when I make these Chiptole Chicken Skewers! 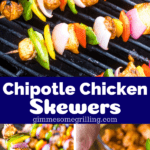 What do I need to make Chipotle Chicken Skewers? How do I make Chipotle chicken skewers? In a bowl mix together the ingredients for the marinade. 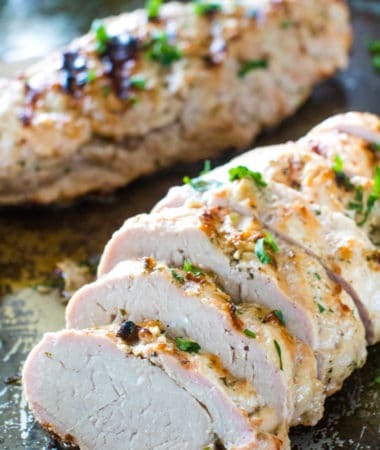 Place chicken in marinade, cover with an airtight lid and place in the refrigerator for 4-8 hours. 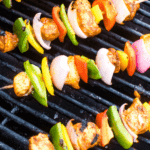 Soak wooden skewers for at least 30 minutes if you are using wooden skewers. Remove chicken from fridge. 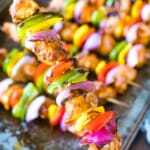 Thread a piece of chicken on skewer, then two pieces of green pepper a piece of purple onion. Repeat until skewer is full. Place skewers on grill that has been preheated to 350 degrees. Cover and grill 7-8 minutes. Open cover of grill and rotate skewers. Grill an additional 7-8 minutes or until internal temperature is 165 degrees F and juicy run clear. 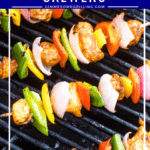 More great recipes for Chicken Skewers! 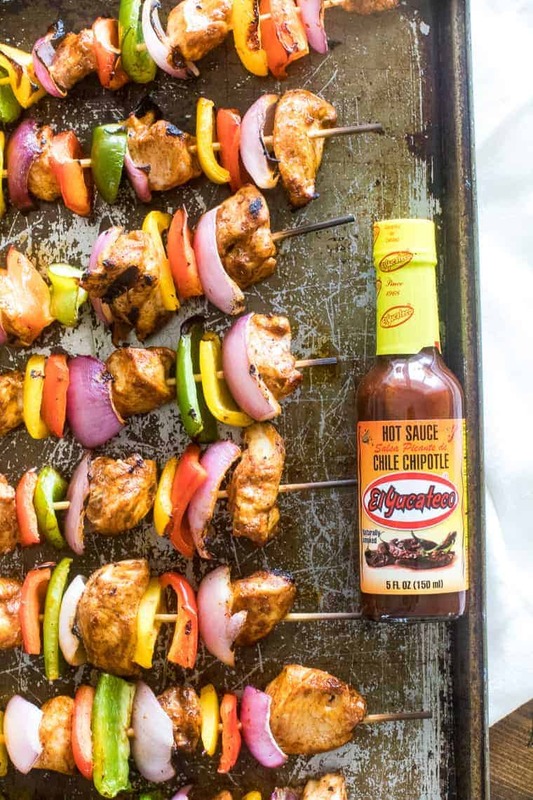 Are you ready to fire up the grill while tailgating or homegating and enjoy these chicken skewers with a kick from El Yucateco Chipotle Hot Sauce?!! I hope you love these as much as we do! When you make this, be sure to tag me on Instagram @gimmesomegrilling or hashtag #gimmesomegrilling! 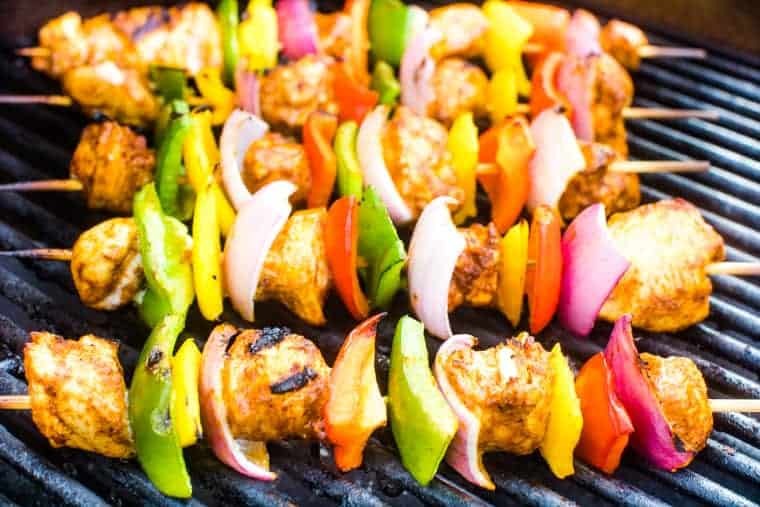 Don’t forget if you love these kabobs be sure to comment and leave a five star rating below! What a delicious and colorful dinner! These are definitely a keeper! So much flavor and doesn’t hurt that they are pretty! 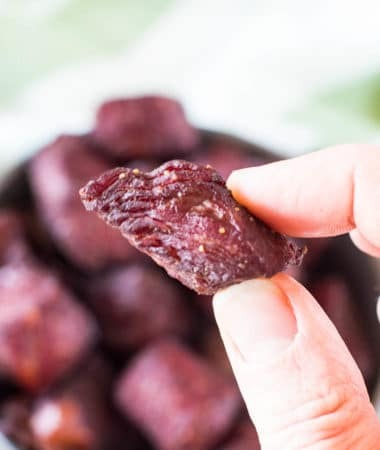 So easy, flexible, and delicious – thanks for all the information and choices for cooking. These are delicious! 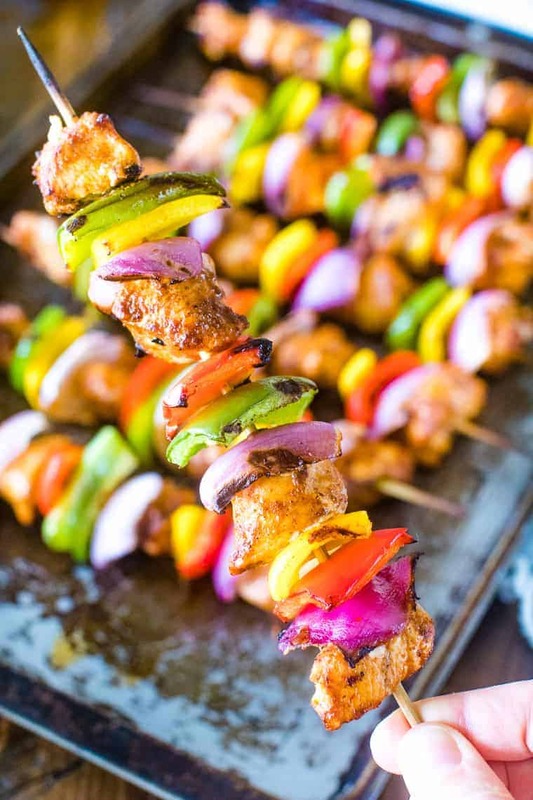 Chicken skewers are awesome and colorful. I am saving this recipe for weekend treat. Yum. These are perfect for one of the last grilling “hurrah’s!” before winter comes to Minnesota! That sauce looks so yummy! I need to look for it at the store! It gives it awesome flavor! This will be perfect for the game this weekend!! And yes, eating food off a stick is way more fun!! Thanks for a wonderful recipe!! Chicken skewers are always a hit in our house and that sauce was the bomb! The sauce totally takes it up a level!